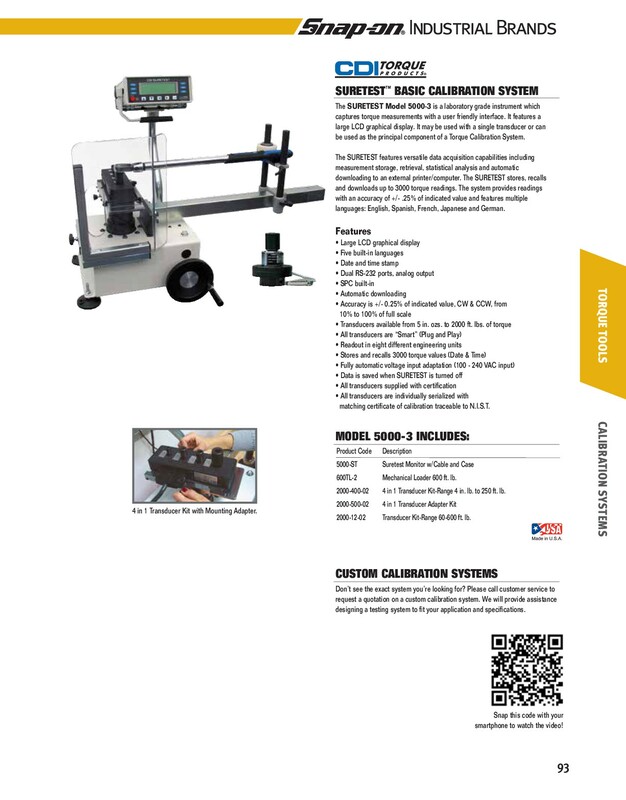 SURETEST™ BASIC CALIBRATION SYSTEM The SURETEST Model 5000-3 is a laboratory grade instrument which captures torque measurements with a user friendly interface. It features a large LCD graphical display. 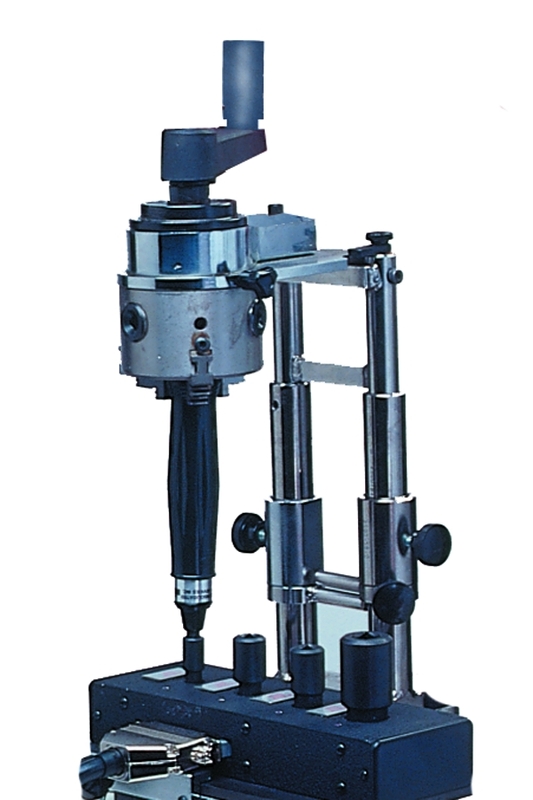 It may be used with a single transducer or can be used as the principal component of a Torque Calibration System. The SURETEST features versatile data acquisition capabilities including measurement storage, retrieval, statistical analysis and automatic downloading to an external printer/computer. The SURETEST stores, recalls and downloads up to 3000 torque readings. The system provides readings with an accuracy of +/- .25% of indicated value and features multiple languages: English, Spanish, French, Japanese and German. All transducers are individually serialized with matching certificate of calibration traceable to N.I.S.T. 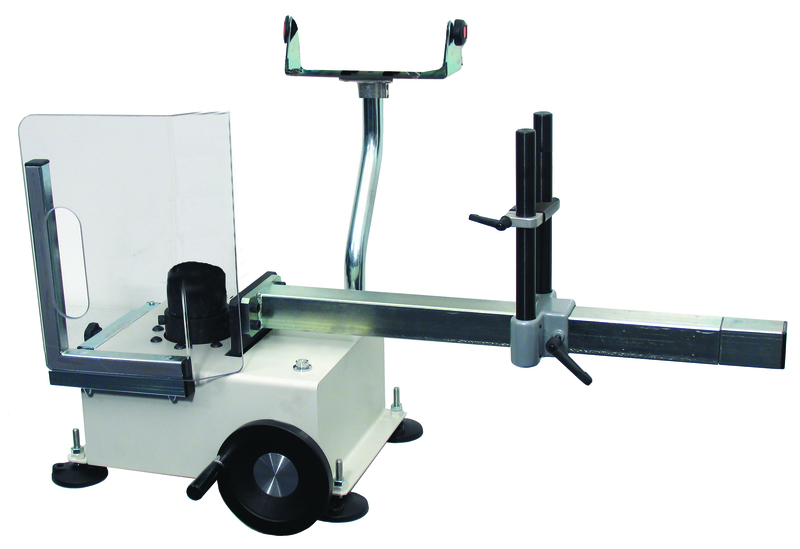 600TL-2 Mechanical Loader 600 ft. lb. 2000-400-02 4 in 1 Transducer Kit-Range 4 in. lb. to 250 ft. lb. 4 in 1 Transducer Kit with Mounting Adapter. 2000-12-02 Transducer Kit-Range 60-600 ft. lb.